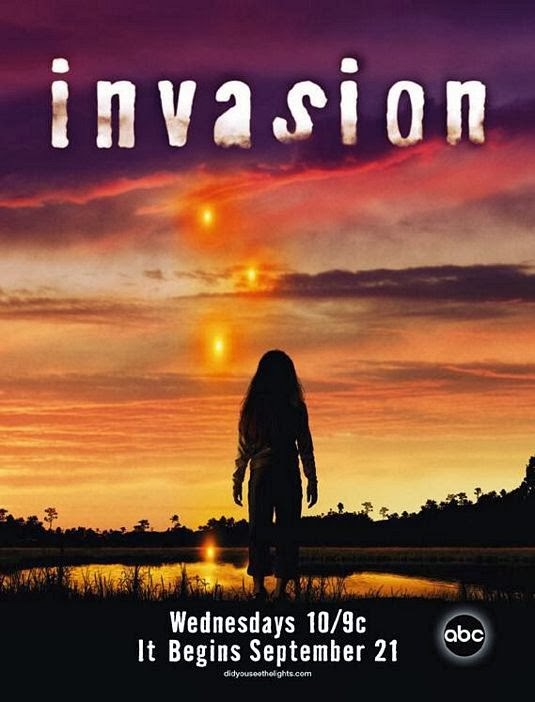 Invasion (ABC, 2005-6, Cancelled after One Season): This show seemed like a sure thing debuting in the coveted Lost lead-out slot during that show’s second seasons and also delivering a similar story-arc driven sci fi series. But the problem was that it was too much of a slow burn. It started off with a somewhat creepy and intense tone that offered plenty of promise from a story-telling perspective. But then nothing seemed to happen for episode after episode and viewers just lost interest. By the end of the season its ratings had fallen pretty far and ABC just decided to pass on a second season even though the show ended on a pretty major cliffhanger. And as it turned out, even though Lost continued to be strong performer in the ratings, its lead-out slot ended becoming somewhat of a cursed hour and no show managed to succeed there during its six year run. FlashForward (ABC, 2009-10, Cancelled after One Season): This series was officially dubbed by ABC as the “Next Lost” before it debuted and that brought on plenty of curious onlookers when it first debuted. And the first episode showed promise even if it did not quite live up to all the hype. But then the series completely failed to explore the full implications of its near-apocalyptic premise and decided instead to follow the procedural with a twist route with soap opera asides. And even worse, it became just plain boring. It did course correct, though, at mid-season, but the audience attrition had already set in and it didn’t help that it had a long hiatus between its fall and spring runs. This show had promise, but that was squandered early on and it never fully recovered and was axed on a cliff-hanger that looked to reboot the series to an extent if it had continued into a second season. V (ABC, 2009-11, Cancelled after Two Seasons): This series was a dubious choice to begin with because even though the original 80’s mini-series was a huge ratings success, it failed to hold onto its audience when it turned into a weekly series. Still, the reboot drew a huge number of curious onlookers early on (it had the highest rating for a sci fi show that is not The Walking Dead or Lost in the past ten plus years), but those numbers dropped quickly. That’s largely because it failed to deliver the sfx-heavy production that it teased, and it was really pretty bad. It descended into bad camp as it appeared to deliver a pro-conservative, anti-Obama allegory that offered little in the way of insightful or challenging stories. ABC still gave it a second season renewal despite the fact that it had fallen fast and far by the end of its first season. But quality-wise it did not course-correct enough in its second year and the network gave up on it at that point. The Event (NBC, 2010-11, Cancelled after One Season): Another show that was dubbed as the “next Lost” (though by a competing network), but this one suffered mostly because it was just a mess of a show. The first episode showed promise with its fractured story-telling that seemed to offer an inventive twist on the Lost-style flashbacks. But that quickly became just plain confusing and it seemed obvious that the writers were as baffled by the show’s story as the audience was. Probably the main problem with The Event was that it seemed more like a corporate boardroom derived attempt to replicate Lost than any idea driven by creative inspiration. Its high debut ratings plummeted quickly, and NBC admitted defeat by season end by cancelling it. 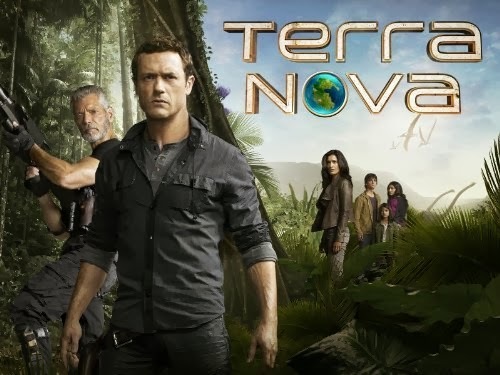 Terra Nova (FOX, 2011, Cancelled after One Season): This one had plenty of hype and a large number of fans intrigued as it promised to deliver a dinosaur epic on the small screen. But out of the gate it suffered from hackneyed, copy and paste scripts along with contrived, unnecessary family soap opera sub plots. People tuned in to see humans struggling to survive in a world of dinosaurs but instead saw stale, teen angst melodrama. Terra Nova actually debuted to less that spectacular (though still decent) ratings, but it went quickly downhill and never recovered. And this one was too expensive of a production to survive on cult series ratings so FOX made it extinct after a short, one season run. Alcatraz (FOX, 2012, Cancelled after One Season): This J.J. Abrams mystery/time travel series debuted to decent ratings but started a steady downhill slide when audiences found it to be little more than a procedural series with a twist. Had it spent more time exploring its premise instead of just delivering escaped, time-traveling Alcatraz convict of the week stories, it might have built more of a cult following. But FOX already had low-rated sci fi cult show on its schedule in Fringe, and apparently didn’t want to make room for another. It was cancelled after only a thirteen episode run. Touch (FOX, 2012-13, Cancelled after Two Seasons): This show drew a lot of curious onlookers early with star Kiefer Sutherland’s presence and also Heroes creator Tim Kring’s involvement. But it’s Touched by an Angel with numbers concept grew stale all too quick and audiences quickly began to tune out. FOX still gave it a second season and tried to retool the show a bit, but the rot had already set in and the move to Friday nights didn’t help its prospects either. It got the axe after completing the thirteen episodes ordered for its second season. Revolution (NBC, 2013-, Not Cancelled Yet, but on the verge): The J.J. Abrams / Eric Kripke connection piqued the interest of many viewers early on and the show’s post-apocalyptic setting offered plenty of potential as well. But that was all quickly squandered as the show delivered stock television stories, copy and paste scripts, unnecessary soap opera diversions, and somewhat dull characters. Its high premiere numbers had dropped far by the end of its first season, but NBC couldn’t quite bring themselves to give up on it. It returned this year with a bit of a course-correction, but it lost its cushy lead-in from The Voice and has slipped to its lowest ratings yet. The network may give it the full season to see if it can turn things around, but at this point its prospects look pretty grim. Agents of SHIELD (ABC, 2013-, Not Cancelled Yet): Looks like this one may have turned around its numbers, but you can read more about it at this link.